When the Webb telescope flies into space, it's going to need to pack some serious sun protection. Just how strong will it be? To keep the telescope cool on its trip, scientists have constructed this sunshield, which they say has an effective SPF of 1,000,000. 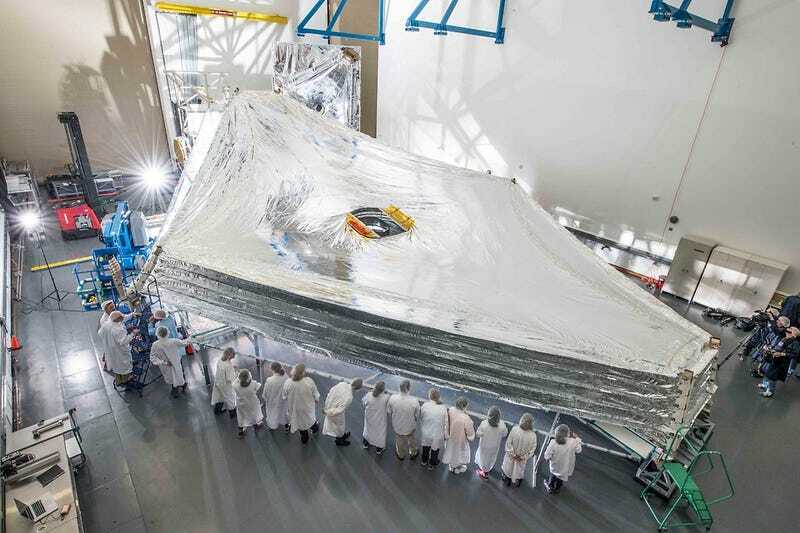 The sunshield just cleared its first successful lab test, when it was unfurled to its full size (roughly that of a tennis court) for a trial in a NASA clean room. Once the telescope heads into orbit, the sunshield will put its high SPF abilities to work keeping the telescope's infrared tools at a chilly -370°F.